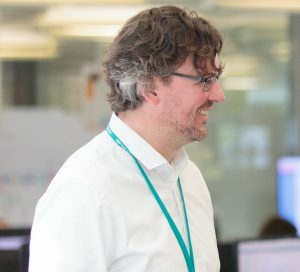 Hi, I’m Ben Lovatt, Lead Scrum Master at HMRC’s digital delivery centre in Newcastle. 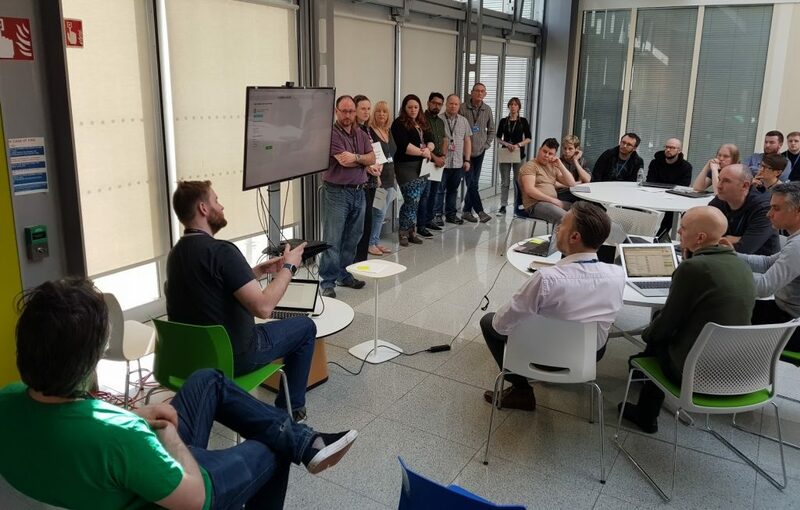 Our Worthing and Shipley digital centres have both held Hackathons recently, so I thought it was time to see what we could come up with at our own event in Newcastle. A bit of friendly rivalry can be a great motivation! We split up into teams and made sure we had a mix of professions in each one. The task for the day was to come up with an idea for a product based on one or more of the main themes that could be developed into a useful tool. At the end of the session the teams would sell their ideas to a panel of judges in a five minute presentation. Throughout the day there was a buzz to the centre - teams were mixing up, trying different roles out, and deliberately moving out of their comfort zone. Pizzas arrived at 12 but, in a ‘blink and you’ll miss it’ moment, were all gone by 12:04. Did our apprentices eat them all? When time was up, the teams presented to the judges, Head of Delivery (Tim), Head of Product (Alex), and Centre Operations Manager (Mark). They were scored out of five for the idea, execution and standard of their presentation. The presentations ranged in technical detail including some that were very technical, such as automated sensors on rooms to determine occupancy. The overall standard was incredibly high and the judges agreed that every team’s idea would justify more investigation. Ultimately the judges couldn’t decide on an overall winner so announced two first places and one highly commended. The joint winners were Team 8 who created “Cope”, an artificial intelligence framework to allow users with learning disabilities to create CVs through natural conversation and Team 19 with their “Roomate”, a room monitoring and allocation system. Highly commended was awarded to Team 14 with their idea for a “Chatbot” to talk to HMRC via home assistants. We want to use the investment and trust placed in us to do something like this so we’re asking the delivery and product communities to look at how best to carry our ideas forward. At least one team is writing the business case for their idea. So, as well as the experiences gained from the day like the different ways of working, taking on a different role or just meeting new people, we’ve also created some real viable products to take to the next stage. The hackathon day was a great way for people to get out of their comfort zones. 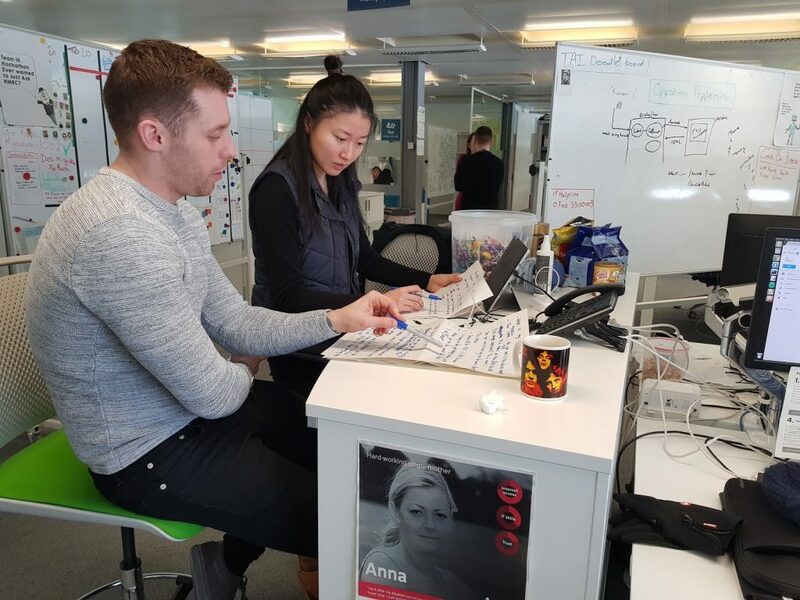 When you’re working on a project that is out of the norm you're exposed, there's nowhere to hide, it's the perfect chance to step up to the plate and try something new, I myself got to act as Product Manager for the day! If you can help solve a real world problem in the process then it's the icing on the cake. 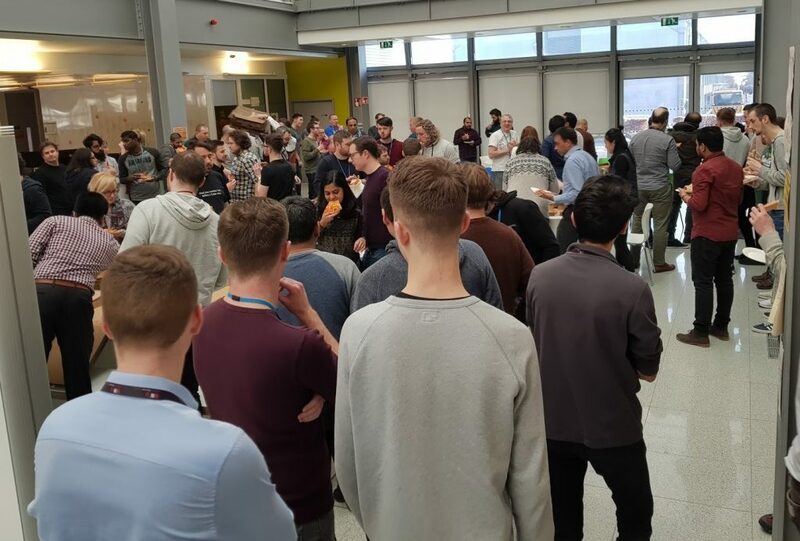 We’d like to do the same thing again soon - but first, in true agile fashion, we’ll hold a retrospective and look at ways we can improve the day and maybe include even more of our colleagues. We’d like to make it clearer that, just because you don’t have technical background, doesn’t mean you can’t contribute an idea. **An honourable mention has to go to Adam Dixon, who travelled in on the Metro carrying over 200 cans of pop in suitcases for the day! There was certainly even more of a buzz in building 9 that day. We saw some of the presentations from floor 1 and wished we could be a part of it!